The new BMW 2 Series Gran Tourer is impressively flexible and could prove to be the perfect vehicle for families who need a large, practical car and want an upmarket alternative to mainstream options. Being a BMW means it’s also going to be good to drive, and while this is the brand’s second ever front-wheel-drive effort, the switch from rear-wheel-drive is hardly going to matter massively to families who first and foremost need a useful people carrier. OSV takes a closer look at what it’s all about with our 2018 BMW 2 Series Gran Tourer review. In terms of mainstream options, the Ford S-MAX is right up there where handling ability is concerned, but the BMW is more than a match. It uses the same engines as the entertaining MINI Cooper Hatchback which means that, despite being bigger, the 2 Series Gran Tourer is still bursting with character. The engines are relatively quick and refined too, and the car doesn’t drive like a people carrier. In fact, it has more in common with a smaller Hatchback. Of course, it’s hardly going to take corners with the same kind of finesse as a 3 Series, but it rides, handles and steers as you’d expect a BMW to. And this is despite BMW switching to a rear-wheel-drive layout for only the second time in their history. There is one caveat: The M Sport suspension is harsh and you’ll all feel uncomfortable on longer journeys. It’s definitely worth avoiding unless you’re planning short trips most of the time. Sport models are okay but we recommend adding the £390 Adaptive Suspension system. In terms of the engines, there are a pair of petrols on offer. The smallest of the two is a turbocharged 1.5-litre unit that develops 137bhp, and which can get you from rest to 62mph in just under 10.0 seconds. The bigger of the two is a 2.0-litre turbocharged engine that produces as much as 192bhp, and which covers the 0-62 sprint in 7.9 seconds. That’s pretty damn fast for a people carrier and the smooth power delivery is excellent. Both engines are quiet, too. It’s been easy to criticise recent BMW interiors as they’ve lacked quality. Compared to their upmarket rivals, there’s been too much evidence of harder plastics. Not so this time around. Instead, the Gran Tourer looks like a BMW should look; stylish, durable and a tad luxurious. It needs to be those three things at the very least if it’s to tempt buyers to splash the cash here instead of on a more affordable mainstream MPV. Then there are the brand’s excellent iDrive system which should help to sweeten the deal. It’s easy to use and deals with most of the sat-nav and infotainment functions. The dashboard, meanwhile, is typical BMW fare. It’s well finished, great to look at and robust. The buttons and switchgear are of a high quality while other highlights include the brushed metals and high-gloss inserts. 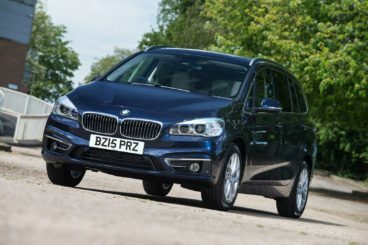 Is the BMW 2 Series Gran Tourer practical? It’s bigger than the Active Tourer, and can boast 12cm extra between its wheels. BMW has filled this space with the third row of seats but they’re really for children only. The second row of seats come with a tilt-and-slide function for easy access to the third row, while big doors help with access, too. The glovebox is a good size but what will frustrate some buyers is that the seats aren’t all the same size. The boot, meanwhile, measures 145-litres with all seven seats in place. That’s a bit measly but you can extend it to 1,820-litres by folding the two rear rows. Standard kit across the range is good, with all models getting the brands iDrive system, a powered tailgate, the brands Emergency Call system, rear parking sensors, sat-nav, a digital radio and automatic dual-zone climate control. The Luxury model adds unique 17” alloys, wood finish on the dash and different leather upholstery that’s exclusive to this trim. The M Sport trim rounds things off with 18” alloys, an M leather multi-function steering wheel, suspension upgrades and a sports body kit. There are lots of optional extras to choose from, including the brands Concierge service, a reversing camera and bigger alloys. In terms of how safe the car is, it’s brand new and hasn’t yet been crash-tested by Euro NCAP. Its sibling, the Active Tourer, bagged all five stars for its performance and we’d expect this one to score the same. Standard safety kit includes traction control, electronic stability control and lots of airbags. To get the likes of lane departure warning, forward collision warning, a speed limit detector and driving assistant you’d need to pay extra. Prices for the new car start out from £26,770 and rise to £36,570. For more information on our leasing deals, you can check out our page here. In terms of its running costs, all models are fairly efficient. The turbocharged 1.5-litre petrol engine that powers the 218 model returns 53.3mpg while emitting 123g/km of CO2. The bigger 2.0-litre turbo petrol, meanwhile, manages 44.8mpg at best. Opt for the 8-speed automatic gearbox for either engine and you’ll have to pay a bit more overall at the pumps, while CO2 emissions will go up if you specify bigger alloys. Insurance-wise, the car sits in groups 10 to 21. It’s a strong car that should stand up well to whatever your family throws at it. A front-wheel-drive BMW is still as unusual as a seven-seater BMW (which this also is), but the Gran Tourer is still one of the best cars to drive in this class. Despite having seven seats, there’s enough space to rival mainstream models. It isn’t the most exciting BMW around. There are cheaper mainstream rivals out there. Let’s see how the car fares against its rivals in the comparison section of our 2018 BMW 2 Series Gran Tourer review. 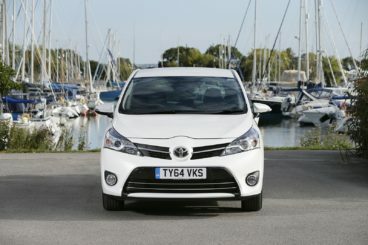 The new Toyota Verso Estate is practical, a cinch to drive … but it’s hardly going to excite you. Although it lacks the upmarket appeal of a BMW, the Toyota is still well worth a look because it’s got so much of what families are looking for. On the road, it’s not much fun, but if you want a drama-free way of ferrying your kids from A to B, it’s got all the answers. There’s very little body lean in bends, it’s sufficiently comfortable and visibility is good. Sure, it lacks engagement and there isn’t much steering feel. But driver involvement isn’t always top of buyer priorities in this sector anyway. In terms of the engines, there are two petrol engines to choose from. The 1.8-litre unit is the bigger of the two and it’s automatic-only. This is a bit of an issue because, despite being bigger than the 1.6-litre petrol engine, the automatic gearbox drains it off so much performance that it feels no faster. That said, it’s hard to recommend the smaller 1.6-litre engine. It actually costs more to run than the bigger engine, with returns of 41.5mpg. The 1.8-litre engine, on the other hand, returns 43.5mpg economy. Inside, ride quality isn’t too bad and anyone who gets inside a Verso should be relatively comfortable on longer trips. The dashboard is easy to live with, the steering wheel and seats offer lots of adjustability and overall the cabin is very family friendly. We like how high the gear stick is set as it makes it easier to use, and the instruments are nice and clear. Fit and finish are good, too. Is the Toyota Verso Estate practical? Its versatile seating system gets brownie points from us, coming as it does with a possible 32 seating combos. In basic form there are five seats, but the rest of the range gets a third row which easily folds flat into the boot when not needed. The second row of seats can also be folded flat into the boot, at which point there’s no boot lip. The boot itself measures 155-litres when all seven seats are up but can be extended to 1,696-litres when you fold all the seats down. The seven-seater Toyota Prius + Estate is well-built, practical and economical. Like the Verso, the Prius + isn’t going to excite you in the same way that a BMW can. It offers a relaxing driving experience, however, which is what most buyers in this sector actually want. Supple suspension ensure comfort on longer trips, visibility is good, but the light steering counts against the car when you put your foot down and wish it was weightier. In towns and cities, however, the light steering will prove to be a strength. In terms of its engine, the Prius + combines an 81bhp electric motor with a 1.8-litre 98bhp petrol engine. Total power is 134bhp, and that’s not enough when the car is fully-loaded. As such, a 0-62 time of 11.2 seconds might cause consternation among buyers. Worse still, CVT automatic doesn’t sound good when you make an overtake and its noise will frustrate. At low speeds, you can put the car into the all-electric mode and this helps to keep the noise down. It also helps with running costs but exactly how much the Prius + costs to run will depend on which wheels you go for, as well as which trim. For example, the entry level Icon model gets 16” alloys and returns 68.9mpg, while the Excel model gets 17” alloys and returns 65.7mpg. There’s not much difference between the two, but whereas the Icon emits less than 100g/km of CO2, the Excel model emits over. Inside, there isn’t much flair to shout about and the Prius doesn’t look as radical as it once did. The ergonomics are fine, but aesthetically, it’s lacking. Because the main instrument display is placed in the centre of the dash, the driver has nothing to look at directly, which can be disconcerting. Meanwhile, the LCD readouts remind us of an 80s alarm clock. 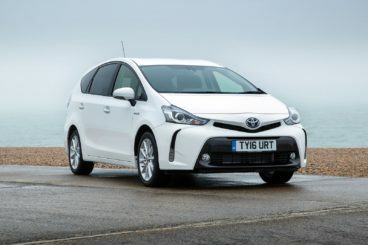 Is the Toyota Prius + Estate practical? There’s plenty of space available, whether you’re sat upfront or in the middle row. However, it’s a different story in the third row, which are really only suitable for children, at least on longer journeys. The seats fold individually, storage spaces include two glove boxes and the boot measures 200-litres with all seven seats up. Fold the third row of seats and you get 505-litres of space. It’s not easy to find an upmarket seven-seater like this one, and when you’ve finally found it, you probably don’t want to let it go. 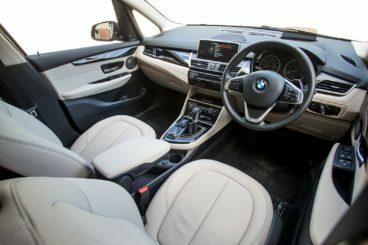 However, while there are certainly some key things that distinguish the BMW from its mainstream rivals – such as a classier interior, a stylish Luxury trim and drivability – you have to ask whether the high listing price that the BMW 2 Series Gran Tourer is saddled with is ultimately worth it. ARE YOU INTERESTED IN GETTING A 7 + Seats?